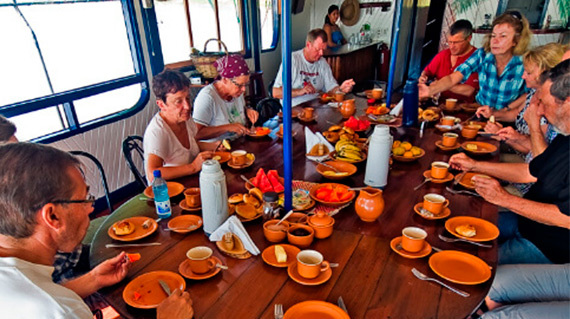 Reina de Enin river cruise is a colorfully painted catamaran with air-conditioned comfortable cabins and ample social areas is the perfect way to explore the bio-diverse Bolivian tropical rainforest. Enjoy the remote Amazon wilds from the comfort of the Reina’s viewing decks and every excursion along with your experienced Bilingual Guide. 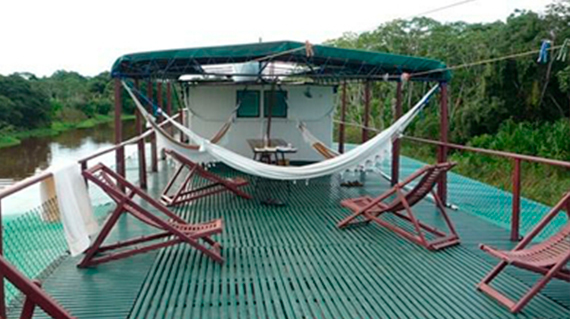 Let’s cruise the Amazon Jungle on board the Reina de Enin! 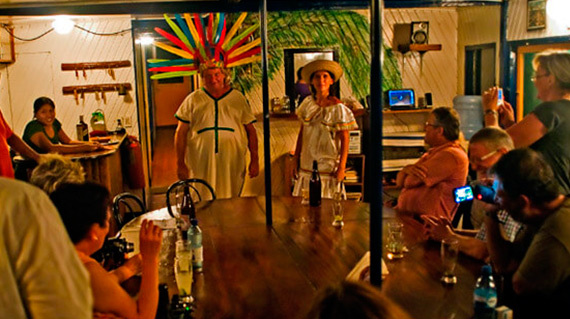 All about the Reina de Enin River Cruise. While aboard, you are welcome to participate in any activity. 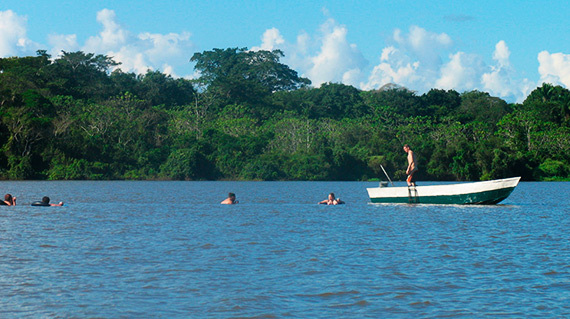 We may take one launch boat to a lagoon for a swim, another boat to a trailhead for a jungle hike, while a third may visit a remote white-sand beach for a relaxing walk and a check for fresh animal footprints. You can treat it as a relaxing cruise and stay onboard the Reina for your whole stay, or you can make Indiana Jones envious by going full-bore with camera, binoculars, hiking boots, and specimen bottles 24/7. It’s up to you. At the end of each day, we often meet upstairs on the viewing deck to have a drink, share the day’s adventures, and observe a remarkably vivid Milky Way. Flotel Reina de Enin works with CYMA, a small group of university-trained, native Bolivian biologists that provide expert guiding to our groups. Detailed Food (B=Breakfast, L=Lunch and D=Dinner). Airport taxes (2 $ for national flights y 25 $ for international flights). Draft: 1.5 to 1.8 meters. Speed: 10 knots, 3 knots against the tide. 10 cabins with double bed, a single bunk, fan, air conditioning, private bathroom with hot water. 2 cabins with two single bunk beds, fan, air conditioning, private bathroom with hot water. 2 cabins with two single bunk beds, ceiling fan, private bathroom without hot water. Destination: Light of rooms and corridors, fans, water pumps. Source: Water tanks pumped from the river (not drinking). 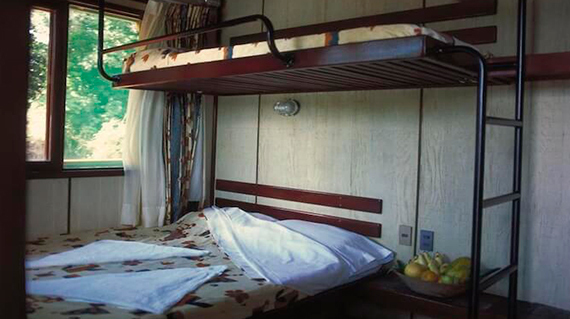 10 Triple cabins 1 – 10 (1 matrimonial bed and 1 single bed, with air conditioning and private bathroom). 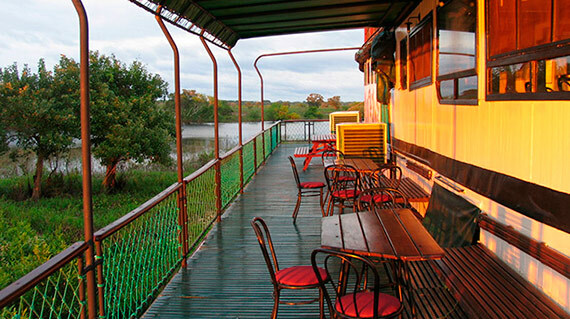 2 double cabins 11 & 12 (2 twin beds with air conditioning and private bathroom). 2 double cabins 13 & 14 (2 twin beds with private bathroom). Terraces with hammocks and deck-chairs. 4 – 6 speed motor boats. Electricity 220v while the generator is working and 12v at night. English and german speaking guides.